Today I'm linking up with Just Reed, Pawsitively Teaching, and Inspired Owl's Corner for their Pinterest Pick 3 Party! I, like most teachers, would love if "Pinterest Curator" was an actual job you could have, so this is the perfect link up for me! 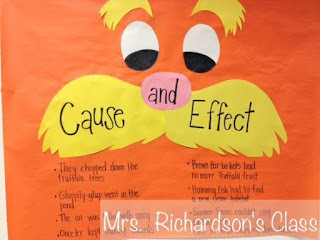 I'm focusing my links on one of my favorite Read Alouds for Earth Day: The Lorax! 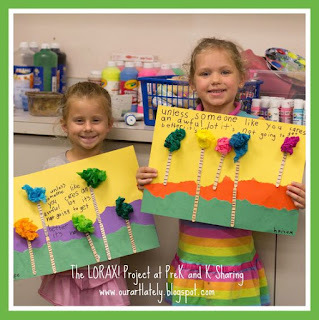 This craft would be awesome for younger students. I love how each one of them would turn out unique, and it really conveys the message of the story! My next pick would be for middle-grade elementary students. This anchor chart is too cute, and a great review at this time of year of cause and effect! I can see students making their own on orange construction paper as well! My final pin technically is for younger kids, but I think kids of all ages would have a blast with this. I can see pairing this with a writing assignment to make an eye-catching bulletin board! Feel free to check out my other pins and give me a follow at It Happened in 3rd! Thanks for hosting! Always love looking at fun pins! 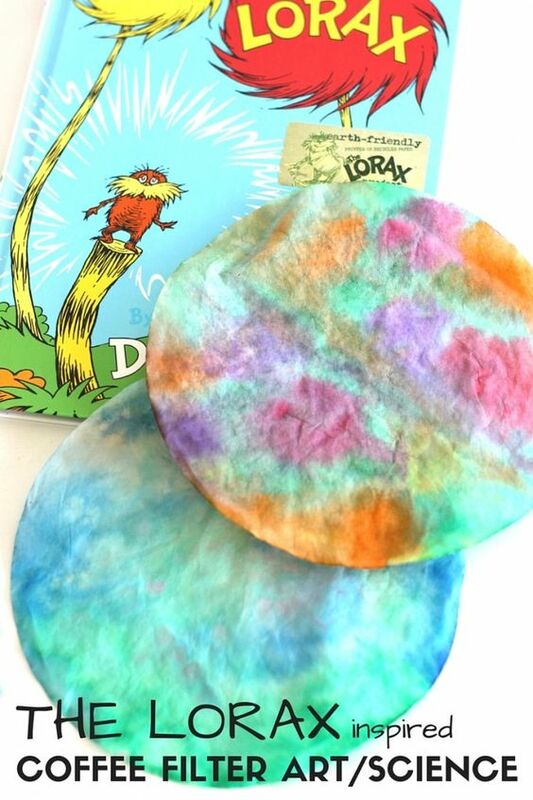 My favorite Dr. Seuss book is Lorax! Love the shared pins! Thanks! It has the best message! Thanks for stopping by! The Lorax is one of my favorite books with so many learning opportunities. I'm so glad you linked up with us!! Thanks for hosting! One of my all time favorite books! Lol...no time like the present!